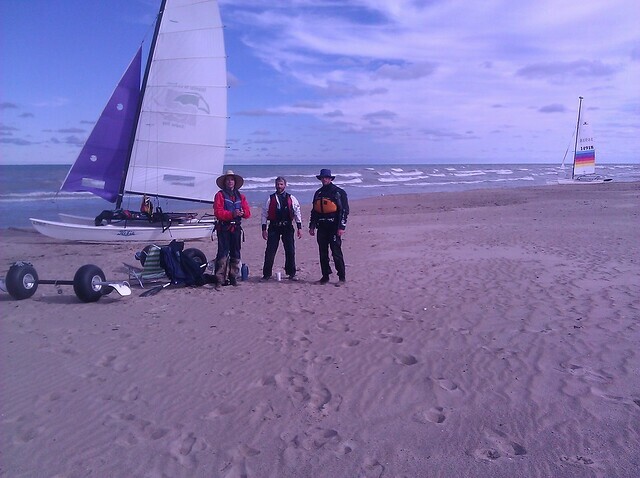 A slow day (like no wind) turned awesome as the wind notched up. 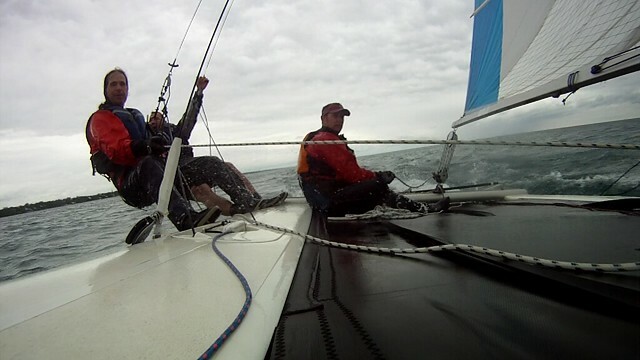 When it was 15-20 kts plus a bit in the gusts I went looking for crew. John Fish raised his hand. 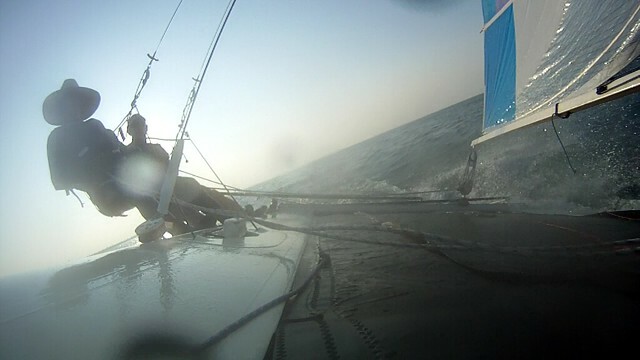 An easy 20 kts of boat speed as we surfed on a beam reach. I hear John is looking to sell is wind surfer and get back into cats. 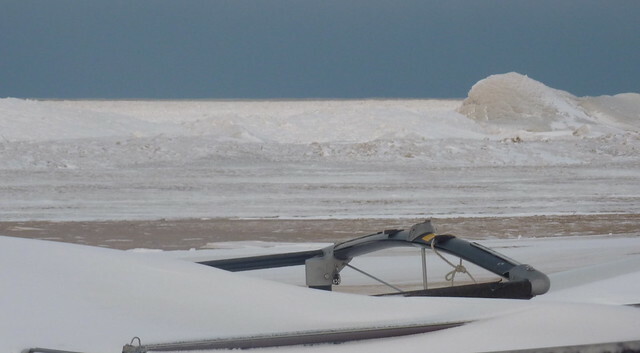 decision of whether or not a boat sails in heavy conditions. safety equipment and keeping ones boat in good working order. Sundays weather was unexpectedly way nice. 15kts of wind from the south and sunny skies treated us to a hull flying bonanza! After last nights last nights massive storm, you would think the winds would ease. No. Patrick joined me (and Roni after I called for more beefcake on rail). 20+ with some big gusts made for this evenings entertainment. 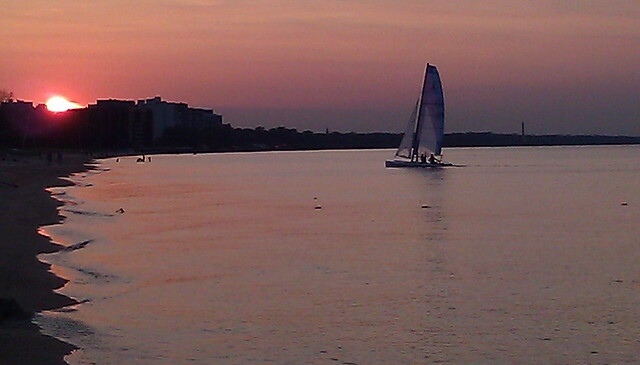 15 out of the SW with a few gusts made for a nice evening sail. Got some video, will edit later. seems a bit steep, but a super clean boat. someone buy this so mine can have a sister-ship! LATE. FREEZING SPRAY LATE. WAVES 7 TO 11 FT.
TO 35 KT IN THE MORNING. HEAVY FREEZING SPRAY IN THE MORNING. 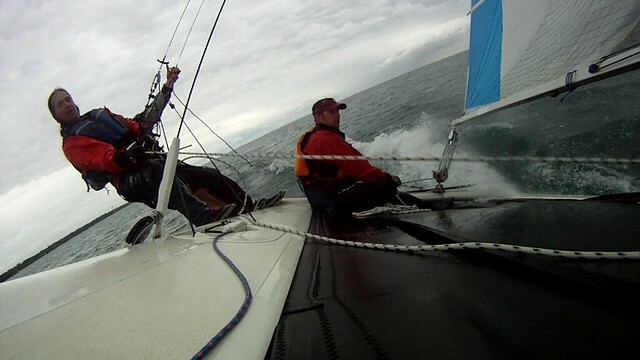 I heard Aaron Rogers is a mono-hull sailor and won't go out if its blowing more than 5 kts. 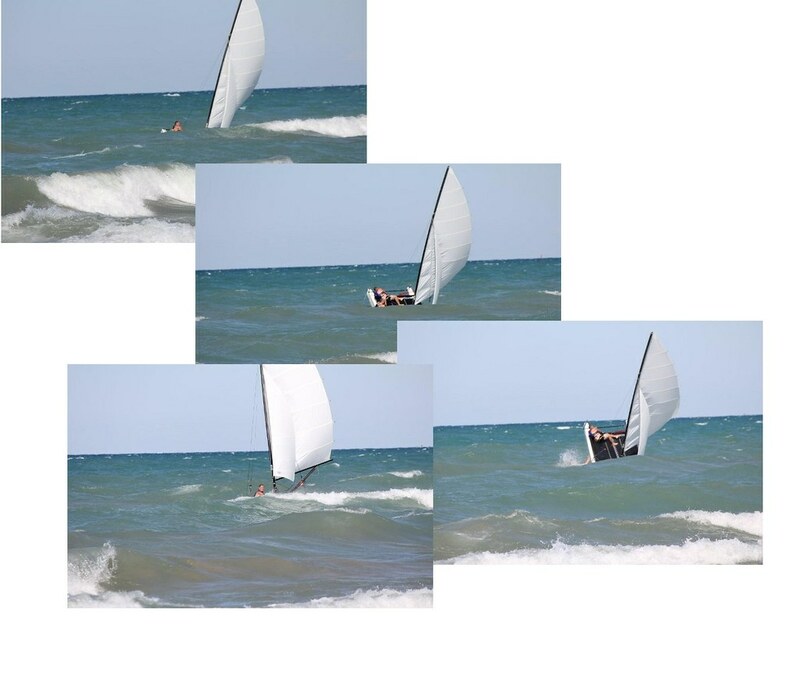 2001 Nacra Inter 20 for sale in Michigan price seems a bit high, but looks like a nice boat.